Available for the first time on DVD, completely uncut in its full-length version, this action-packed thriller ranks alongside Hitchcock's great British thrillers. When ex-spy David Somers takes a low-profile job in the country cataloguing a butterfly collection, he finds that dangerous work continues to pursue him. David grows fond of his employer's niece, a fragile, fey young woman named Sophie. When Sophie is framed for the murder of Hick - the spiteful handyman - David becomes embroiled in a murder mystery and goes underground with the beautiful suspect. The fugitives stay one step ahead of the police until the breathless climax. Starring the Oscar-nominated and Emmy Award-winning Trevor Howard (Gandhi, The Third Man, Superman) in one of his greatest films, alongside the Oscar-nominated and Emmy Award-winning Jean Simmons (Spartacus, Guys and Dolls, Elmer Gantry) and directed by Ralph Thomas (Doctor in the House). 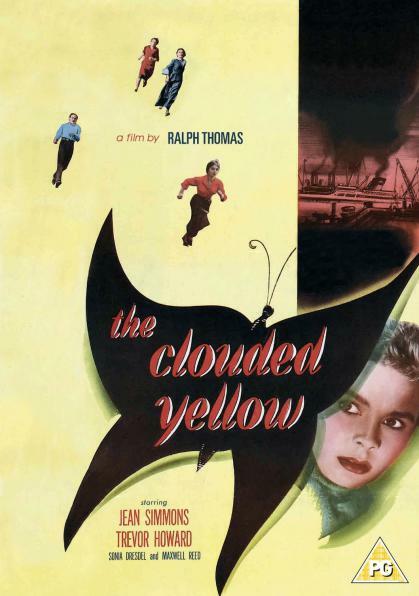 Featuring: The Clouded Yellow (1950).